Tribute to Iran: Next goal gold in RIO! The Elephant is off their back.Team Iran won the GOLD MEDAL at the 2014 Asian Games beating Japan 3-1 in the finals held at the Songnim Gymnasium.The Iranians had come in to the Asian Games with the favourites tag. They finished FOURTH at the WORLD LEAGUE held in August in Florence, followed by the SIXTH place at the WORLD CHAMPIONSHIP which concluded on 21st September in Poland.There they locked horns with the best in the World and infact was the only team from Asia to make it to the top SIX, speaks volumes of their ability. 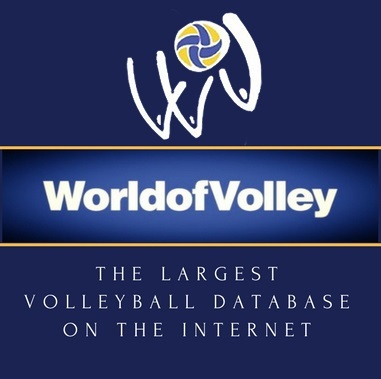 They infact took the Poles (World Champions) to the wire in their match losing the fifth set at LODZ , 16-14.The former Coach of the Iran team Mr.Julio Valesco ( a former FIVB Coach of the Century awardee,and Hall of Famer) after winning the Asian Championship – 2011 at home opined that there is no opposition to them in Asia and that the others have to play for the SILVER medal only.Julio Valesco left to his native country Argentina to change their fortunes on an emotional appeal from the FIRST CITIZEN placing the Iran team in the safe hands of Mr.Slobodan Kovac who is continuing the good work initiated by the master strategist Julio Valesco.If there were some minor glitches as far as the Iranian team was concerned, it was the quality of oppostion at the Asian Games. The level of opposition at the World Championship which concluded on 21st September was the best in the World and here Slobodan Kovac found it really difficult to motivate his team to give their best. The only motivation for the team was that Iran hasn’t won the GOLD MEDAL at the ASIAN GAMES till date. In the last Asian Games at Guangzhou -2010, they came close,but lost to Japan in the finals (1-3) courtesy,injury to the LIBERO who couldn’t play the finals. Here at Incheon, the team was motivated to the hilt by Slobodan kovac by the fact that IRAN had never won the Asian Games GOLD.The team led admirably by setter Mir Saeid gave a brilliant display of copy book Volleyball in conjunction with Mir Seyed Mousavi the middle blocker who was in devastating form with his monstrous blocking and swift first tempo attack, along with Southpaw Farhad Gheami and Ebadipour. Libero Fahad Zarif did a brilliant job.Without the services of the best player Amir Ghafour who sat out the final,Team Iran packed too much punch for the Japanese,Koreans,Chinese and the Indians.The relief and joy on the faces of Libero Fahad Zarif and the second setter Mahdavi Mehdi holding aloft their respective kids with their national flag wrapped around said it all after the finals. Team Iran have won every medal at the Asian level and are knocking the doors of the high and mighty of the world. The historic MOU signed recently between the Iranian Volleyball Association and the United States Volleyball Association for the upliftment/development of Volleyball augurs well for the future of the game in Iran in particular and the Asian Continent in general.Slobodan Kovac said after the finals that Iran have set a bench mark which I presume will be difficult for the other teams in Asia to attain. Watching Iran play the finals like a team possesed in the stands was the genial PARK Kiwon the man who started it all, way back in 2002 at the Busan Asian Games where Team Iran lost to Korea in the finals.He was the coach of the Iran team at the 2002 Busan Asian Games.In the most important match at that Busan Asiad, Iran beat my country, India 3-2 and progressed to the next stage. Where is IRAN. Where are you my dear INDIA? 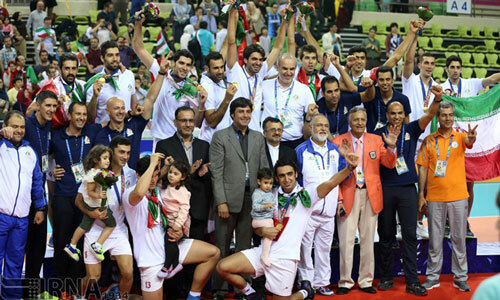 Great and steady progress by Team Iran since that memorable outing at the Busan Asiad in 2002 to the Incheon Asiad in 2014 has been the culmination of the best practices evolved over a period of time by the officials of the Iran Volleyball Asociation,the players and all concerned with the game. Congratulations. All the very best, TEAM IRAN. GO FOR GOLD – 2016 – RIO, NEXT STOP ! Contributed by G V Madhav,former Volleyball player, Commentator. The views expressed are my own without prejudice to none.